During our desert Marrakech tour we visit and experience best tour of Atlas mountains in Ait Benhaddou Unesco site. Another gudied tour in Dades valley and Todra Gorges followed by Merzouga camel trekking to Sahara camp. Our private driver “Ourass Travels - private tours in Morocco” will pick you from your riad and we drive towards Dades Gorges passing the mountains Tizi-n-Tichka Atlas pass. We will visit Berber village of Telouet where is located the Kasbah of el Glaoui. 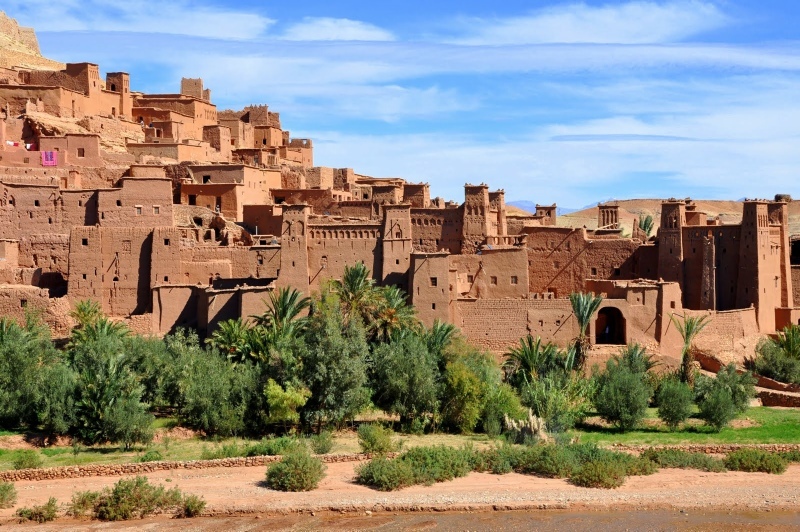 Then we continue to the village of Ait Benhaddou to visit the UNESCO World Heritage Site of Ait Benhaddou. It is a spectacular fortified village . 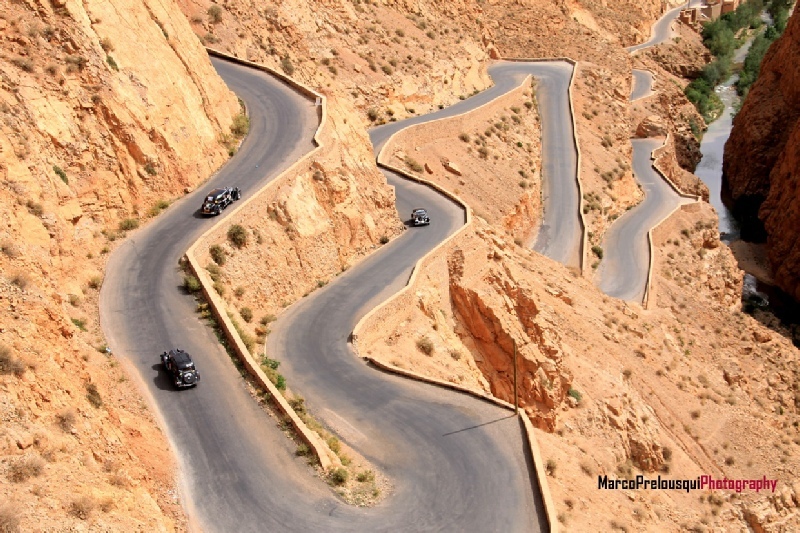 We continue our tour to Ouarzazate and then to Dades valley. We will have dinner in local riad / hotel where we stay overnight. We continue our desert Morocco tour and after breakfast we pass few Berber villages along the way. We will explore Todra Gorges , we walk in narrow canyon , famous for hikers. We continue passing Ziz valley to reach city of Erfoud, famous for its fossil products and dates. We may visit fossil factory and shop. We explore Rissani’s local souk and then we continue to Merzouga desert. 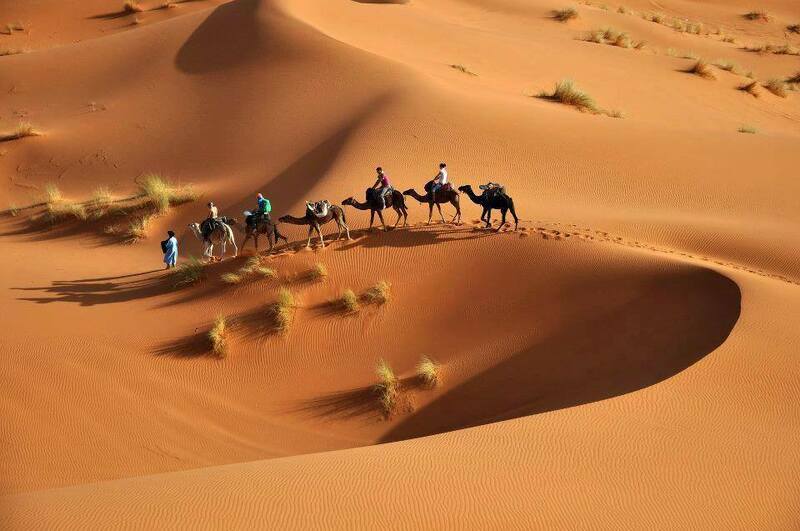 We prepare for camel ride in Sahara desert, guided by experienced camel guide. We will watch desert sunset in Merzouga desert. Once we reach desert camp we will enjoy Berber dinner , drum music at campfire in Merzouga. 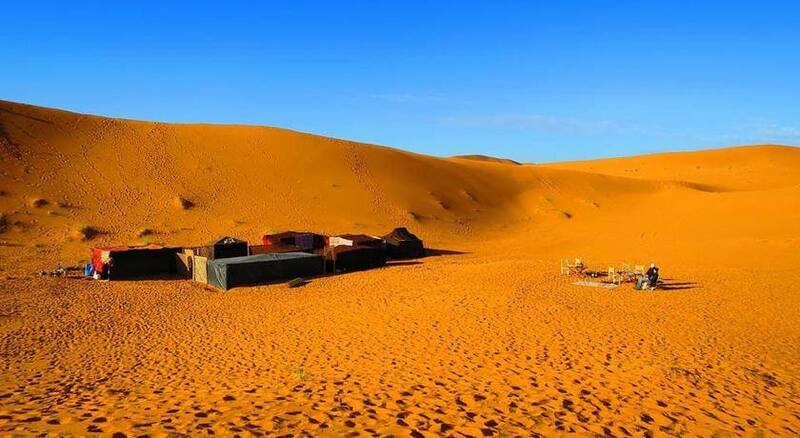 We will sleep in tents in desert Merzouga. Today we ride camels back from Merzouga desert camp to village. After breakfast we drive towards Rissani , Agdz and Ouarzazatte. Then we pass Tizi n Tichka Atlas mountain pass to reach Marrakech. Our private driver will drop you off at your hotel in Marrakech. End of guided desert tour. Ourass Travels can manage for you any day trips and excursion in Marrakech during your stay. Contact us anytime. Morocco guided desert tour with professional guides , and drivers , in comfortable A/C vehicles as 4x4 or minibuses are available every day during the whole year. The current price depends how many people travelling with you, number of days and type of accommodation. Read reviews from our clients at our Tripadvisor travel website. If you wish to create own Morocco tour or modify our designed tour, do not hesitate to contact us. We want to show you best of Morocco as we have many years of experiences in tourism field.